Wounded Warrior David Libby shows off a challenge coin given to him during a visit from Doug Baldwin and Red Bryant. How about it Seahawks fans! We kick off the preseason with some football today and it will be live on NFL Network! It will also be on channel 13 for those in the Seattle area and even on AFN Xtra (see below) for those of you overseas. There’s a lot you’re going to want to check out in this newsletter. Attached are links to what we might expect to see in the game against the Chargers. As the story on the Seahawks website suggests, we’re likely to see a lot of the younger guys out there on the field who are trying to make the team. The exciting part is that with as much depth the Seahawks seem to be acquiring, there could be a lot of good football players on the field at any point in this game. It should be really fun to see how draft picks like Christine Michael, Jordan Hill, Chris Harper, Jesse Williams and Luke Willson perform. Personally I’m looking forward to seeing Tarvaris Jackson back in a Seahawks uniform after being in Buffalo last season. He’s currently listed second on the depth chart ahead of Brady Quinn, but I think we can expect to see a lot of action out of both of them. We have four free tickets to give away to the preseason game against the Raiders, so follow the link to the right to find out how you might be able to score a pair. Also there are links to our forum on the site looking for members overseas who can record a video spot to be shown during the third quarter of a game this season! Finally, I’d like to promote our latest effort to branch out into the podcasting arena. My friend Adam Emmert introduced me to podcasting recently and we kicked off our inaugural Sea Hawkers Podcast, so please check that out and send along any feedback you have for us! Looking forward to an outstanding season! GO SEAHAWKS!!! Not only is football season back, but we get to kick the preseason off with Seahawks football on AFN. 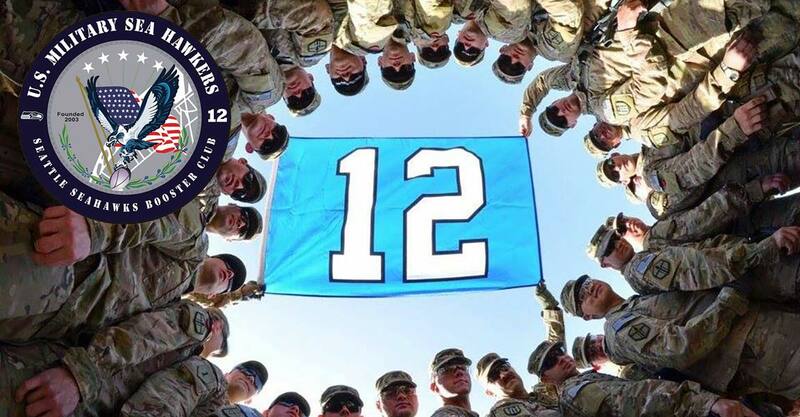 Hopefully this is a good sign for those of you overseas that even if you’re deployed or stationed abroad you are going to be able to catch a lot of Seahawks footbal this season. Unfortunately our Sailors are out of luck. No Seahawks football on DTS, but for those who get AFN, you can find the Seahawks game against the Chargers live on AFN Xtra at 1900 PST/0300 GMT/0730 AFG. Check out the first episode of the inaugural Sea Hawkers Podcast. Brandan Schulze and Adam Emmert talk about what we’re watching for this preseason as well as expectations for the coming season. The podcast will be up on iTunes in the coming weeks and available through other avenues as well. In the meantime, you can plug http://feeds.feedburner.com/seahawkerspodcast into your favorite podcast app (I use Pocket Casts) to get the latest episodes right after they go up.